A Baltimore County 8th grade boy was arrested last week and now faces assault charges for allegedly kissing a female classmate. 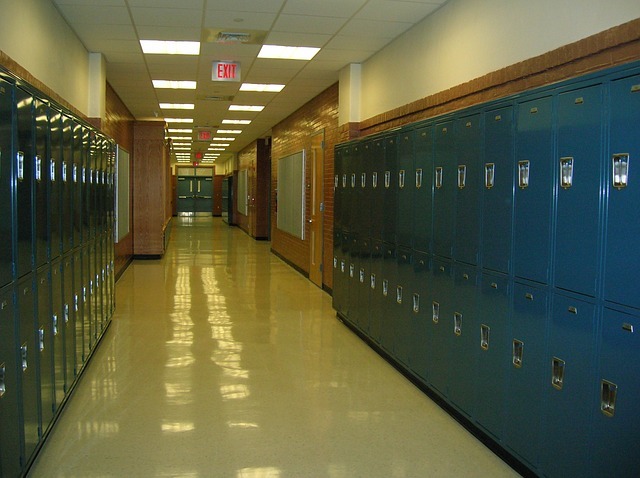 Police officers responded to Pikesville Middle School on Wednesday after school administrators reported that the 13-year-old boy grabbed a 14-year-old female by the shirt, and then kissed her on the mouth without her permission. The female was also an 8th grade student at Pikesville Middle. The boy stated to officials that he kissed the girl in response to a dare from fellow classmates, and now the incident has sparked national debate whether the incident should have been handled differently. School officials could have handled the incident internally under the student code of conduct, but instead opted to involve county police. The officers who responded to the scene acted under state law in charging the boy with misdemeanor second degree assault. This offense carries a maximum penalty of ten years in jail, but because this incident will be filed as a juvenile case the statutory maximum penalties do not apply. A juvenile filing also means that all information about the case will be under seal and off limits to the public. If the state’s attorney’s office decides to prosecute the case it will be heard in the circuit court in Towson. Unlike other jurisdictions, Maryland classifies the crimes of assault and battery under the same statute. Under the traditional common law assault is generally defined as a threat to do harm combined with the apparent ability to carry out the threat, while a battery is defined as an intentional and unwanted physical touching. In other states this incident would have likely been classified as a simple battery case, but here it falls under the umbrella category of assault. Injury is never a required element of a simple battery, and the same applies for the second degree assault law used in our state courts today. The girl involved in the kissing incident was not injured, but she did not consent or welcome the kiss. Clearly the act was intentional, which means the two basic elements of a crime were satisfied. But whether a crime on paper actually happened, and whether the criminal justice system should be involved are two separate issues. There are compelling arguments for both sides of the controversial kissing arrest. On one hand you have to maintain the message that any type of unwanted physical touching will not be tolerated, with our society demanding even more emphasis placed on unwanted sexual contact. If the potential punishment is not severe enough there will be minimal deterrent for this type of behavior in the future, which has the potential to escalate to other more serious violations than a kiss on the mouth. On the other hand, you have to take into account that the accused is a 13-year-old boy who lacks the ability to completely understand and evaluate his actions. This is not to say that punishment and accountability are inappropriate in this particular incident, but subjecting a 13-year-old to an arrest and criminal prosecution is undoubtedly a traumatizing experience that may not be warranted under these facts. Ultimately it will be up to the state’s attorney’s office whether to pursue this case in criminal court, and they will likely involve the victim and her parents in the decision. The Blog will follow this case and may post a follow-up, with the caveat that a sealed status could limit information that is available to the public. 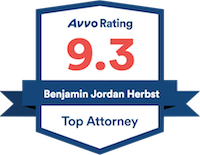 Benjamin Herbst is a juvenile criminal defense attorney who handles cases in all Maryland courts. Contact Benjamin for a free consultation anytime at 410-207-2598. Pikesville kiss sparks outrage: 13-year-old arrested for kissing girl, 14, examiner.com.